Reid School students compete in the MathCounts competition. Reid School is committed to the belief that each student deserves work that is appropriate to his/her individual development and instruction that emphasizes a student’s strengths in reading/English and mathematics and eliminates his/her weaknesses. Teachers request and receive 100% mastery of the students. 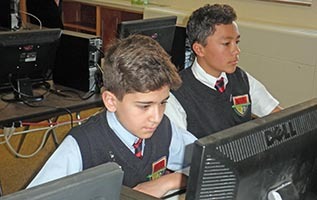 In both reading/English and mathematics classes, students are placed at their instructional levels so there are multi-ages within most classes. Students move ahead in the curriculum as rapidly as they demonstrate mastery, and everyone masters. Teachers employ direct instructional techniques. 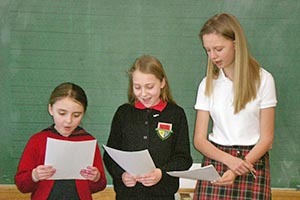 Students in a multi-age reading class perform a ballad. Reid School staff members teach new vocabulary, comprehension, study skills, writing, penmanship, spelling, speaking, and listening skills daily in their literature, science, and social studies classes. 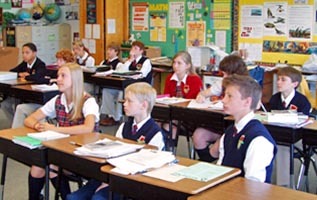 Students are taught to lead discussion groups. 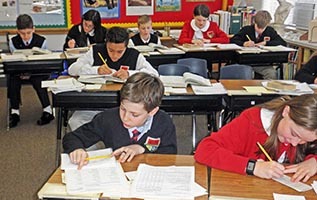 Students’ critical thinking skills are deliberately taught through comprehension and study skills, and basic visual memory and recall skills are developed through Reid School’s penmanship and spelling instruction. 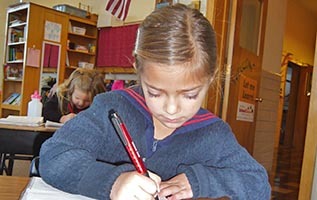 Most years Reid School students become State and National winners in penmanship competitions. 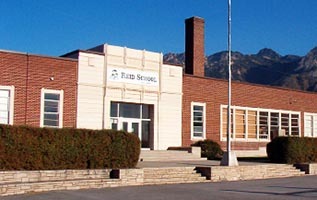 Every year some classes of students are being taught above the 16th grade level. Expository writing instruction, assist students to edit and rewrite their work. Students are taught personal speaking skills and drama. They learn to use their excellent oral language skills in poetry recitations, being judged in various competitions, during the annual Shakespeare plays, and in clubs like Mock Trial. Students learn the traditional symbolic language of mathematics and use manipulative materials to learn mathematical thinking. Students learn to deal flexibly with mathematical ideas as they develop computational facility and accuracy. Mathematics instruction focuses on problem-solving strategies as well as procedural techniques. Advanced mathematics classes have included Geometry, Algebra 2 and Trigonometry, and Pre-Calculus. © April 21, 2019; 1:03am MDT – All Rights Reserved.